Tupuca is Angola’s first food delivery platform, since 2015 allows users to order from multiple restaurants straight from the comfort of their smartphone. 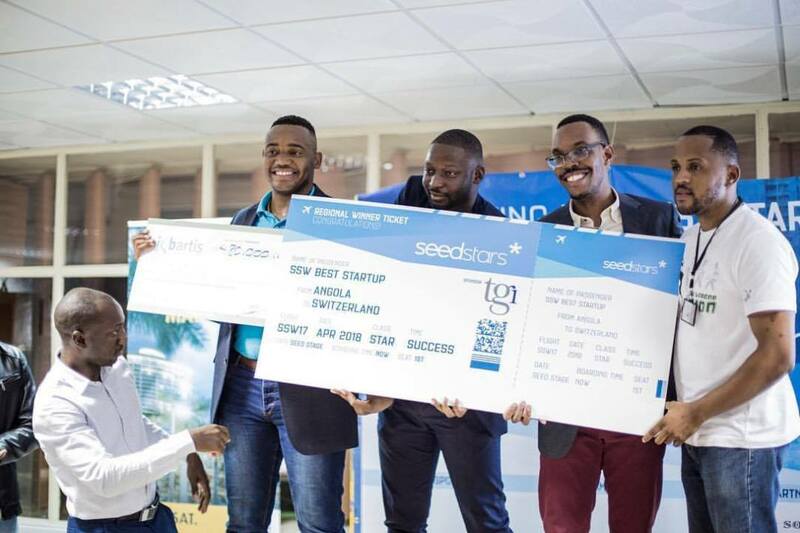 In 2017 the startup won the Angolan leg of the Seedstars World competition, proceeding to Switzerland. So far it has 120 restaurants signed up to the platform and has a little over 20,000 users. Tupuca is also planning to expand to neighboring countries as it consolidates the local market. Techmoran spoke to Tupuca about their progress so far and their goals for the future. Briefly tell us about yourselves, your educational background, team and how you came together to form Tupuca. Tupuca was founded in 2015 by a team of four young Angolans, Erickson Mvezi (CEO), Patrice Francisco (Administrator) , Wilson Ganga (Chief Marketing Officer), and Sydeney Teixeira (CFO). Our startup was created to offer comfort and convenience for Angolan people. The platform provides a wide range of restaurants to choose from. Around 120 restaurants are already signed on the platform. 27,000 customers are actively ordering via Tupuca. Our venture delivered over 80 000 meals in our first year alone. Since its creation, Tupucs has been running on minimal financial resources. Tupuca’s revenues are based on the commission fee charged on each order made via the platform. Moreover, this innovative startup opened job opportunities for people and now it has 100 full time employees. Last year we won the Angolan leg of the Seedstar competition 2017 and as part of winning the competition we will be participating in Seedstars summit in Switzerland. Moreover, we are currently expanding our platform to on demand everything. From Groceries to pharmaceutical products we will deliver it. At this time we have 3 local competitors and we are the only one who offer delivery online. Our Global competition is Jumia that started in Nigeria that focused on food delivery but now deliver more clothes and other goods. We would love to tell aspiring African Entrepreneurs to not give up! You have to bring together a good team that are dedicated everyday to solving each and every problem. Tupuca will represent Angola at the Seedstars Summits in Mozambique and Switzerland later this year.